The West region offers plenty of intrigue, possibly beyond the first round in terms of picking a bracket. However, with spreads mixed into the equation, There’s enough action to keep anyone interested in the first round, even with fewer-than-expected upsets. Here’s the West region best bets. On paper, this is a massive mismatch. Gonzaga owns the best offense in the country in terms of offensive efficiency. Fairleigh Dickinson isn’t bad on offense, but still ranks 63rd. Unfortunately for Fairleigh Dickinson, the defense leaves a lot to be desired. The Knights are ranked 218 in defensive efficiency. The Bulldogs are ranked sixth. This should be one of the more intriguing games, based on a couple of items. The Orange are solid on defense. They can turn over teams and confuse the opposition with its zone. However, Baylor can rebound. The Bears are one of the best rebounding teams in the country, and that could be a major mismatch in favor of Baylor against a zone defense. Everybody loves Ja Morant. He’s a lottery pick playing on a mid-major, so what’s not to like? My biggest problem with that, though, is that everyone is dismissing a Marquette team that has been really good, other than a late stretch. The Golden Eagles are a balanced team, with a solid approach to its offensive and defensive units. There’s a reason why this number has diminished since Sunday night. Oddsmakers set the opening line at minus-11 in favor of the Seminoles, until bettors went hard on the Catamounts. Vermont is no stranger to the Big Dance, and the team is balanced. The Catamounts rank in the top-50 in offensive and defensive efficiency. They also have a player who can take over a game if necessary in Anthony Lamb. In a game where two March Madness legends are at the coaching helm, this matchup should come down to which offense can be more consistent. St. John’s isn’t elite at anything, but that shouldn’t be too much of a detriment, since the Sun Devils can’t score. If I’m hooking my life on any of those units, though, I’m banking on the Sun Devils defense to step up. When right, Texas Tech is one of the better teams in this tournament. The only problem is that the Red Raiders have been inconsistent too often for comfort this season. Even after finishing the season on a frenetic pace, giving them a share of the Big 12 regular season title, the Red Raiders came crashing back to earth with a loss to West Virginia in the conference tournament. I think the betting public and oddsmakers are doing that in this case. The Wolfpack are better. They’ve been consistently good this season and picked the wrong team to lose a second game to when San Diego State won the conference tournament. 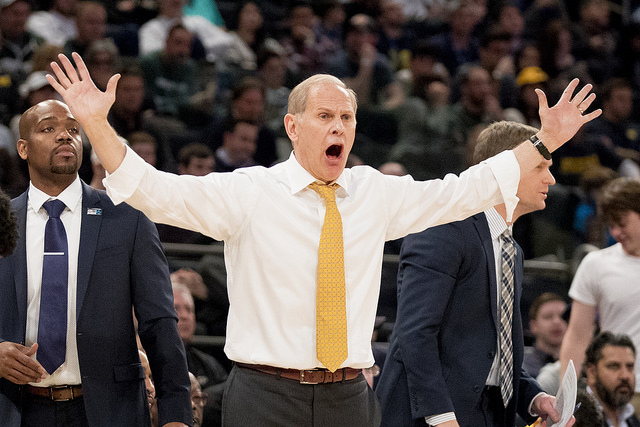 John Beilein is quickly becoming a master in March. So I’m not going to doubt him once again. My Final Four team out of this region is Michigan, so I’ll anticipate a focused beginning to the tournament. The Wolverines have a stifling defense, so even if the offense goes through some lulls, they’ve capable of keeping the opposition in check. Montana doesn’t play good enough defense to keep up with the Wolverines. This is another one where you don’t need to overthink this.